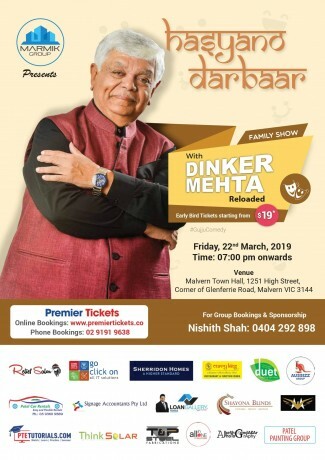 The event is host by Mr Dinker Mehta who is A well known Gujarati Comedian. The show will run for approx 3 hours. The Stand up comedy show is in Gujarati, along with some performances. This will be epic comedy which can enjoy by the Family. This show has been reloaded with new trends & humour.